MANILA, Philippines – The Metro Manila Film Festival (MMFF) 2018 has exceeded the total gross of previous year's Christmas and New Year box office, the Executive Committee announced on Thursday, January 3. In a statement, MMFF Execom is positive to hit the Php 1-Billion mark after earning P800-M as of January 2. The festival will run until January 7. "Despite the rains, we are very happy to say that a large part of the Filipino audiences have gone back to the theaters again this Holiday Season; and we have exceeded the 2017 Christmas and New Year box office gross of the MMFF. "We are looking forward to more and more people watching ALL the MMFF entries until January 7, and it is significant to note that there have been additional theaters where you can catch the films of your choice. "Let’s all carry on to the P1B mark! As of January 2, Vice Ganda's "Fantastica" is still leading the box-office. In a tweet, Vice shared: "400 Million THANK YOUS Madlang People!!!! Ipagpatuloy natin ang pagyakap sa SAYA, TAWA at LIGAYA ng maging FANTASTIC ang Bagong Taon natin. 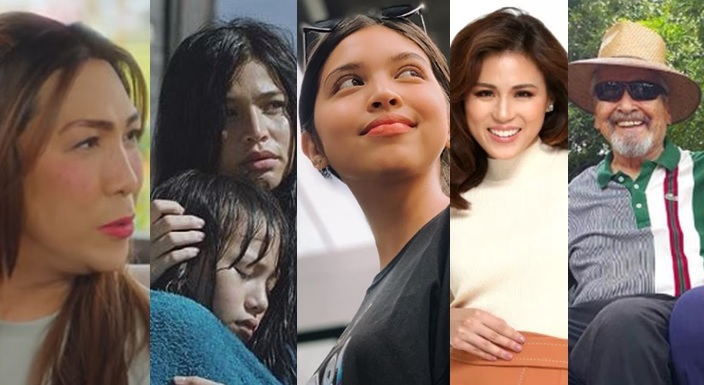 #Fantastica"
In a report by Pep.ph, "Jack Em Popoy: The Puliscredibles", starring Coco Martin, Vic Sotto, and Maine Mendoza, ranked second with P 200-M. Anne Curtis' "Aurora" earned almost P 100-M.
"Mary, Marry Me" of Toni Gonzaga and Alex Gonzaga secured the fourth spot while the "Rainbow's Sunset", MMFF 2018's most awarded film at the "Gabi ng Parangal" got the biggest bump in the past days.